You may have come to this page because you’ve been trying to fix your driver related problems -including your Base System Device issue – for some time now, and perhaps you’ve already tried using the aid of some software! In this article, we will discuss how to undergo Base System Device Driver Download (.exe or .zip) manually together with the risks associated with this procedure. 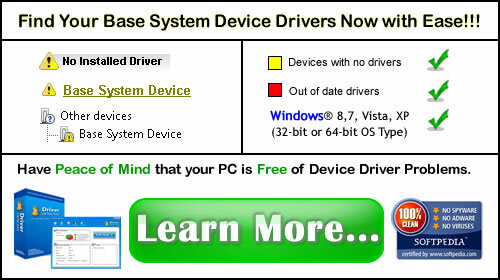 We will use an actual example in this discussion and we will also briefly consider an easier and safer alternative in finding the correct Base System Device Driver for your computer. As mentioned earlier, you probably wondered about the Base System Devices listed under the Other Devices category of your Device Manager, and maybe you have already tried some options to fix this device driver related problem. Well, as stated in the properties of your Base System Device, the recommended solution to fix this hardware device trouble is to click the option ‘Update Driver’. As shown in the images above, most PC users report that this option does not work in almost all occasions when it comes to Base System Device problem. This is the main reason why many PC users choose to undergo Base System Device Driver Download (.exe or .zip) manually online to fix this problem; but when doing so, many PC users end up installing wrong device drivers to their PCs. Searching and downloading device drivers online will also put your computer security at risks because there are drivers bundled with harmful programs (viruses, spyware, malware, etc) lurking online. 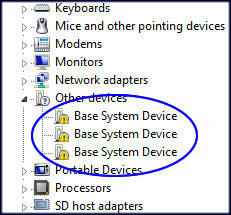 Also, the phrase ‘Base System Device’ is not the actual name or identity of the problematic device. Most PC users who solved this device driver related issue reported that the Base System Device is actually the SD card reader of their PC. On the other hand there are those who also comment that it turns out to be a chipset component of their PC. So, you must make sure to install the correct base system device drivers for your PC, because failing to do so can trigger serious system errors, most especially if the Base System Device is actually a chipset component. 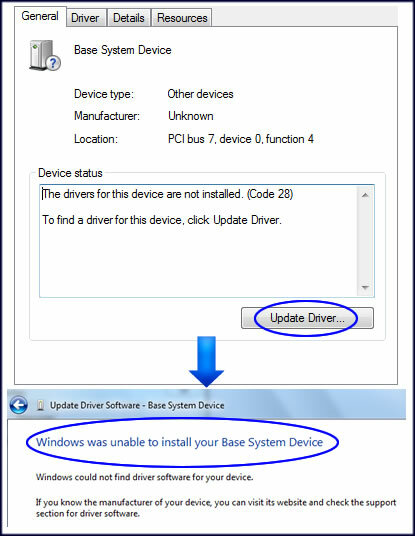 Considering the risks and dangers of manual device driver download, you can try the Easiest and Safest Way to find and install Base System Device Driver and all other driver problems including all outdated, incompatible, and missing drivers. To start with the manual option, we need to know the hardware device IDs of the Base System Device: right-click a Base System Device, select Properties, click the Details tab, browse and look for Device Instance Path (if your OS is Windows XP, look for Device Instance ID), and then write down the Vendor ID (VEN_xxxx) and Device ID (DEV_xxxx). In our example, we have three Base System Devices, and after checking each of their Device Instance Paths, we can conclude that the three problematic devices are correlated to each other. Most of the time, correlated devices require a set of device drivers, thus installing the set of device drivers can fix all the three Base System Devices. Now, we need to access the Internet and search online for the base system device drivers and we will use the Vendor ID 197B and Device ID 2384 in undergoing base system device driver search. 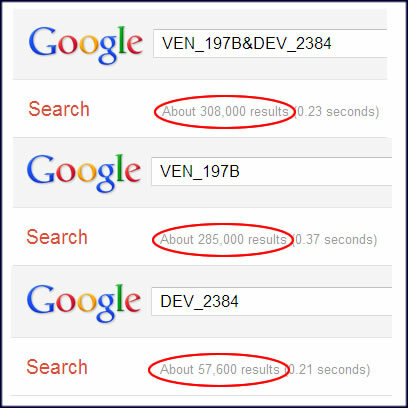 We can just use the Vendor or Device ID as search keywords, but you must expect that there will be thousands of search results. One helpful online tool that we can use is PCIdatabase—it will allow you to do Vendor or Device search by using the Vendor and Device ID of your Base System Devices. You just need to visit PCIdatabase.com, enter the ID in the search box, and then hit search, after that the search results will be provided for you. Unlike searching online using search engines, PCIdatabase will provide you with specific results. In the PCIdatabase, let us first try the Vendor search: Type 197B in the search box, hit the search button, click the link of the Vendor Name, and then the Vendor Details will be provided. 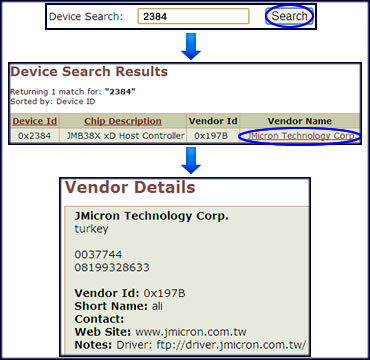 Now, let us counter check the Vendor search results using the Device Search. We will take the same steps considered in the Vendor search. After comparing the Vendor Details of Vendor and Device search, we ended up with the same information. 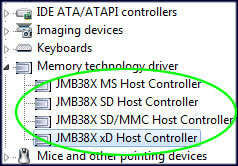 We succeeded to identify the Manufacturer (JMicron Technology Corp.) of the Base System Device, we identified the base system device as a JMB38X xD Host Controller, and we can now visit and undergo Base System Device Driver Download (.exe or .zip) in the official website of JMicron. In the homepage of Jmicron, you just need to click the SUPPORT tab, click Driver, and then click Download. In the new window, select Card Reader, select your Operating System, and then choose the latest available version of device driver. 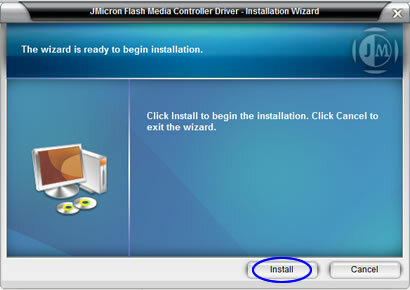 After the device driver executable file has been downloaded, you can install it to your computer by following the installation wizard. 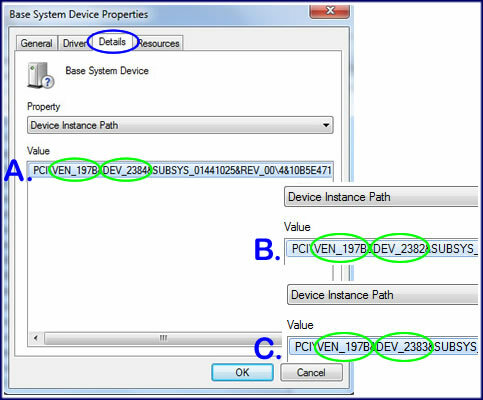 After the driver installation procedure, you can now view your Device Manager and check if the Base System Devices have been fixed. In our example, we found out that the downloaded device driver was actually a set of device drivers for the base system devices listed in the Device Manager. Remember that the manual Base System Device Driver Download (.exe or .zip) requires a lot of time, focus, and energy. There are also times that you will find it difficult to search device drivers in the official website of your hardware device manufacturer, either they stop supporting the drivers for your device or the device drivers are there but somewhat difficult to find. If you want to save your time and energy, you can use the aid of Driver Detective – a Microsoft Certified Partner – in finding the correct Base System Device Drivers. 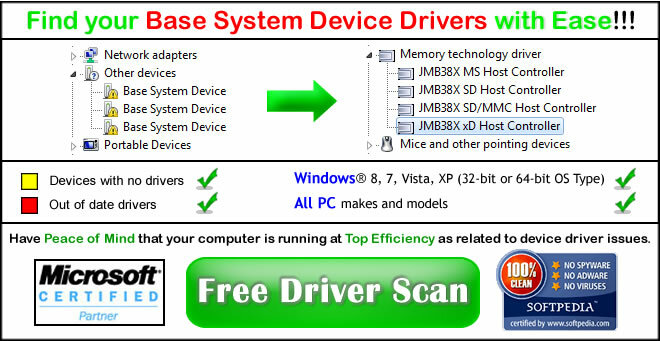 Driver Detective will automate the process of searching and downloading base system device drivers for you. Additionally, it will also take care of all of your PC’s other device driver related issues (missing, corrupted, incompatible, outdated, etc.) If you want to learn more about the automatic option, you can read about the Easiest and Safest Way to Fix Other Devices problems. As a recap, the process of manual Base System Device Driver Download (.exe or .zip) is time and energy consuming. It is also associated with risks such as downloading and installing wrong device driver, device drivers bundled with viruses, spyware, malware, etc. As a precaution, it is highly recommended to download drivers from the official manufacturer’s website of your hardware device, but you can still suffer device driver problems such as incompatibility issues. On the other hand, you can always use the aid of Driver Detective to automate the process of finding and installing the correct base system device drivers for your computer.